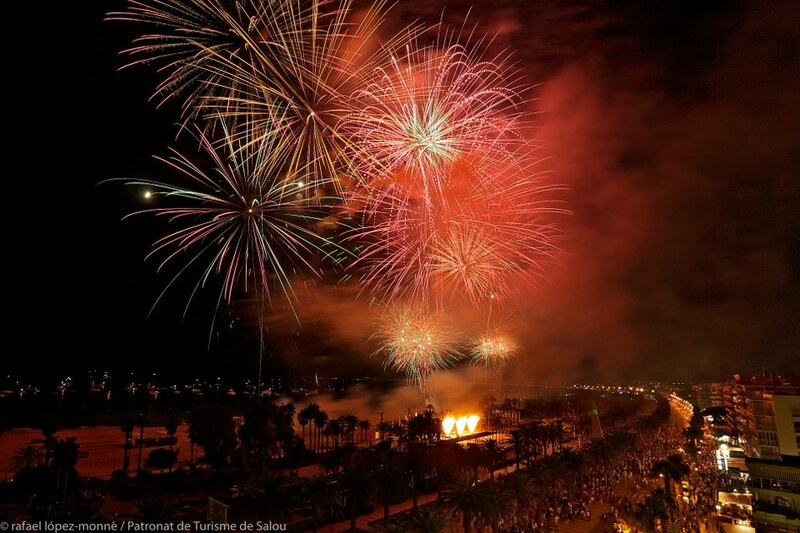 To really get to know Salou's DNA, it is necessary to enjoy and join in all the festivals and fiestas that make up our extensive year-round festival programme, specially the Winter Festival and the Golden Nights in summer. 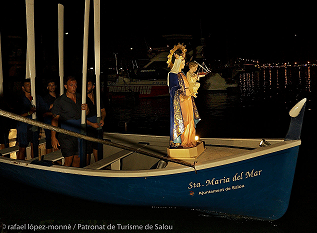 Besides, over the past few years, we have started to celebrate the city's new historical landmarks, such as the Festa Major 30 d'octubre, in order to commemorate that Salou became and independent town in 1989, and those with a fishing tradicion, such as the "Festa del Calamar" (Squid Festival), "La Calada de les Malles de Sant Pere" (Fishermen trawling in Sant Pere) or the procession of the Virgin on 15 August. 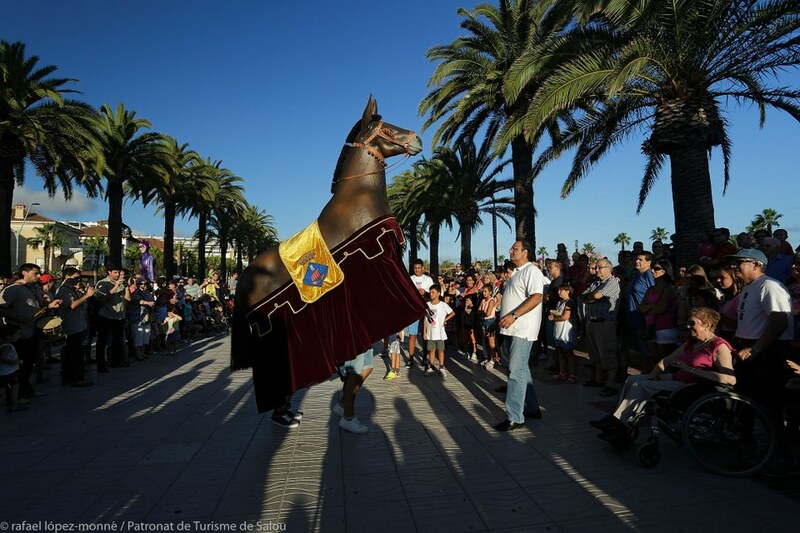 Salou has a deeply rooted and long-standing network to uphold Catalan traditional culture, and there are many entities and associations involved, which you can see in street entertainment, parades and music and food stalls. 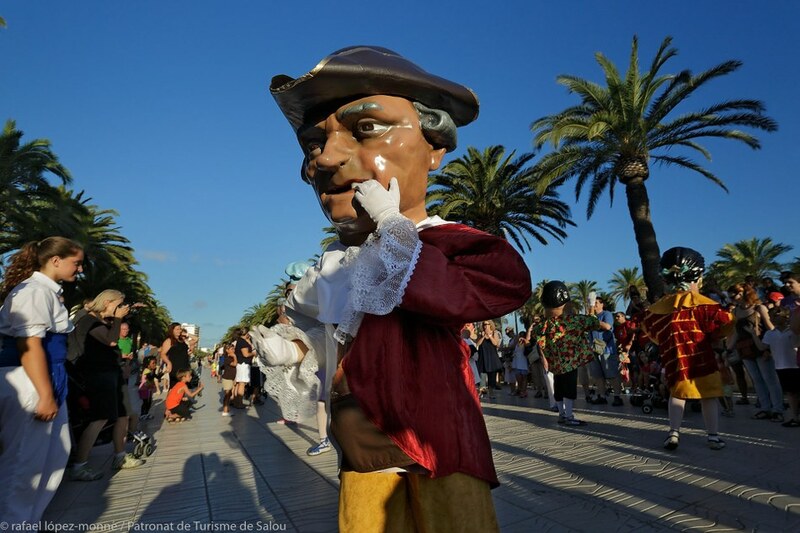 On 30th October, for the Salou Segregation Fiesta, the townspeople take to the streets, along with a festive parade. 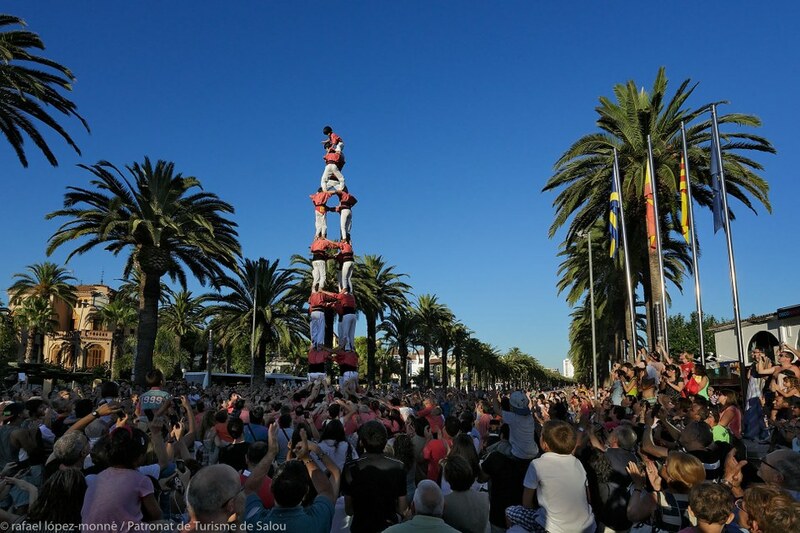 Tradition on display here includes the Salou Gegants (the giants), which were created in 1987. 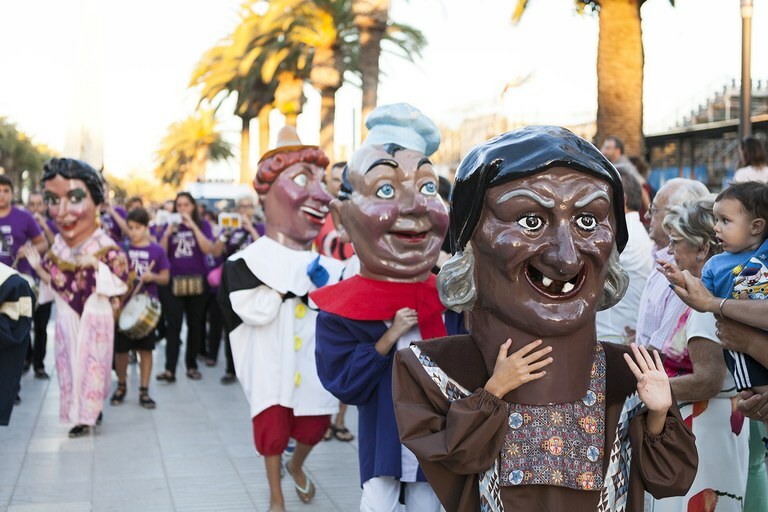 The giants on parade include King Jaume I and Queen Violant; a fisherman and his wife, Ramon and Maria del Mar; a pair of harlequins; the Gralleta, a young giant; Xaloc, a giant who turns into fire; and the Pentabrut and the Negrito. 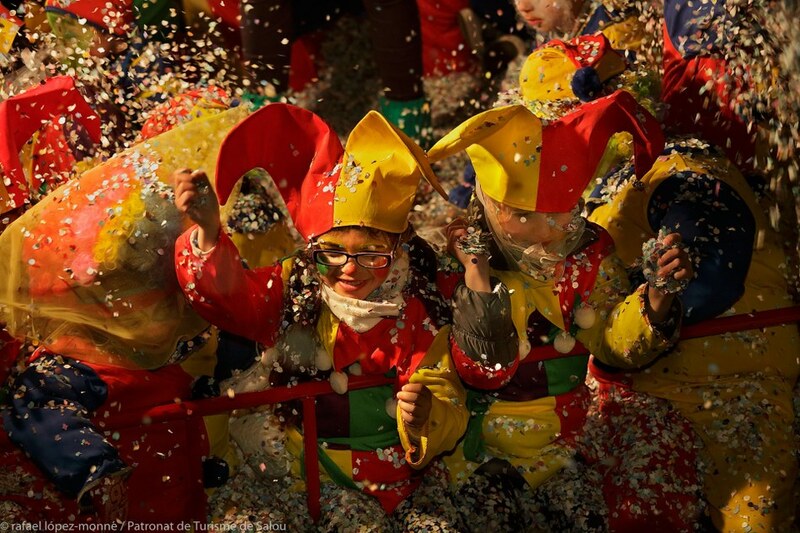 The procession and street band and parade are completed with the Ball de Bastons (a ritual weapon dance), eight dwarves and the Mulassa, which are run by members of the Sal-i-Ou Association, and the fire show by the Diables Maleïts and the Bruixes Latemó, and no party would be complete without sardana dancing, with the group Contrapunt d’Onades. 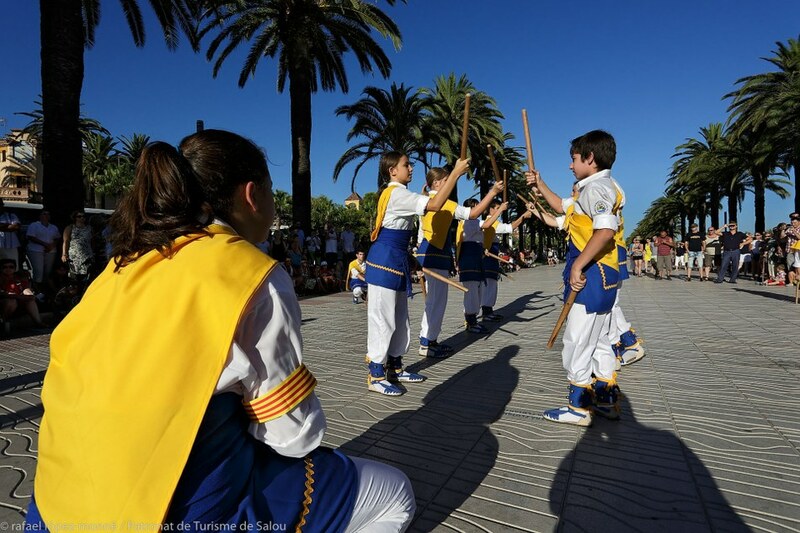 The sounds of the Grallers La Tarota have been accompanying the procession for 25 years, with their traditional repertoire, along with the ballroom dancing, beasts and other festivities. 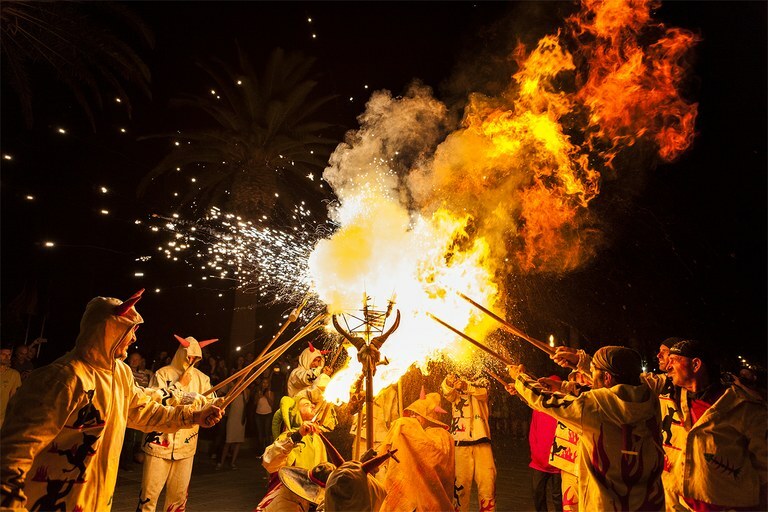 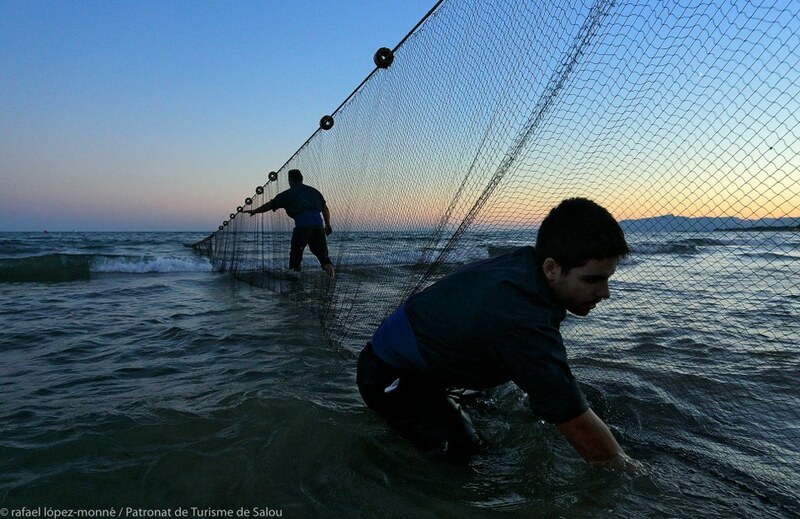 The network is also made up of other entities, including the Esplai Salou Group, in charge of La Morena; Salou Theatre and the Women’s Group, which organises conference series and talks. 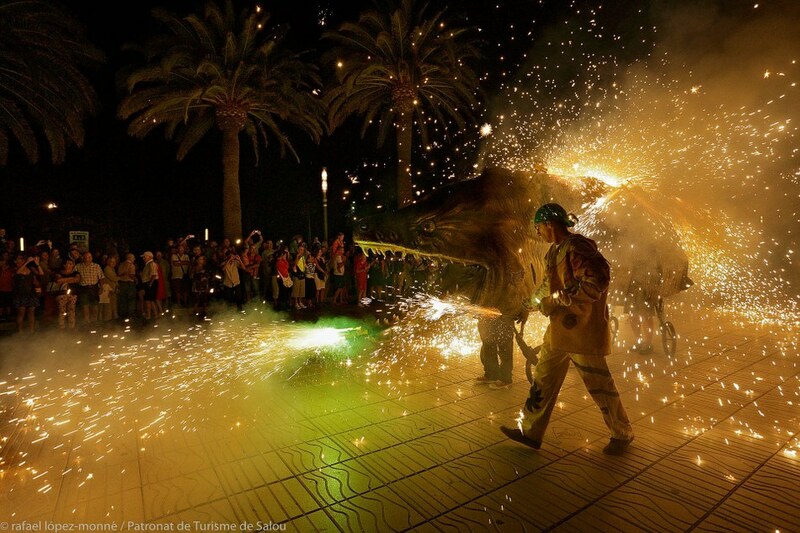 Catalan Folk Characters: "Els Nans"
Catalan Folk Characters: "La Mulassa"